Courts and commentators have sometimes said the administrative law doctrine of legitimate expectations is incoherent. They say that the various ways of acquiring a legitimate expectation do not hang together; nothing unifies them. For example, Lord Brown in Paponette v Attorney General of Trinidad and Tobago agreed with a commentator’s description of the doctrine of legitimate expectations as a mere ‘patchwork’ and ‘little more than a mechanism to dispense palm-tree justice’. Both Richard Clayton and Mark Elliott have in the past favoured the ‘disaggregation’ of the doctrine. We think this is too pessimistic. The doctrine of legitimate expectations does rest on a coherent foundation, and this post is an attempt to sketch the reason why, based on an analogy with constitutional conventions. As readers of this blog will know, in addition to the legal rules of the constitution, there are non-legal conventions of the constitution. These conventions are normally grounded in a long practice among constitutional actors. Dicey thought that all constitutional conventions governed the exercise of the Crown’s discretionary powers. This ignores the many conventions that do not apply to the Crown, but it is correct insofar as conventions typically impose limits on discretionary powers. More exactly, the non-legal rules of the constitution impose limits on the powers conferred by the legal rules of the constitution. Like constitutional actors, administrative decision-makers are given discretionary powers by legal rules. And, like constitutional actors, they are limited in the exercise of those powers, including by non-legal rules. We think that it is these non-legal rules that give rise to legitimate expectations. Let us step back for a moment and explain some of the basic features of the doctrine. When you have a legitimate expectation that a decision-maker will follow a procedure or make a decision, you may be entitled to the law’s protection if that procedure is not followed or that decision is not made. There are difficult questions about when, exactly, you are entitled to the law’s protection, and what form that protection should take. But the most basic question – and the one we are discussing here – is what gives you a legitimate expectation in the first place. Courts have answered that question in a piecemeal way. They have said that you have a legitimate expectation to a procedure or a decision if a decision-maker has promised to follow that procedure or to make that decision (for example, in R v North and East Devon Health Authority, ex p Coughlan). They have said that a policy of following a procedure or making a decision generates a legitimate expectation (as in R v Home Secretary, ex p Khan). Lastly, a consistent practice generates a legitimate expectation (as in the Council of Civil Service Unions v. Minister for the Civil Service ). At first glance, promises, policies, and practices seem to have little in common. But in fact each of these three grounds of legitimate expectations can be thought of as constituting or making applicable a non-legal rule of one kind or another. 1. Promises and moral rules. It is widely accepted, including by John Rawls and Joseph Raz, that there is a moral rule that requires people to keep their promises. If you promise to read a friend’s paper, you come under a moral, rule-based requirement to do as you promised. Likewise, if a decision-maker promises to hold a hearing, say, or to provide housing, it triggers the application of the promise-keeping rule. 2. Policies and self-prescribed rules. Unlike promises, which make applicable a rule, policies are themselves rules. You create a rule for yourself by creating a personal policy, such as a policy not to mark late papers or a policy not to eat dessert. An administrative decision-maker creates or prescribes a rule for itself by making a policy designed to structure the exercise of its powers. 3. Practices and social rules. Social rules arise, in essence, from a practice of people regularly acting in some way and of them treating that pattern of conduct as a standard or guide to how to behave. The practices that generate legitimate expectations are the same sort of practice. Take R v Inland Revenue Commissioners, ex p Unilever plc. The Inland Revenue had the discretion to accept late claims for tax relief, and on at least 30 occasions exercised that discretion in favour of Unilever. Unilever would submit an estimate, and then after a delay it would submit its final calculation, which the Inland Revenue would accept. This arrangement lasted harmoniously for 25 years. But then one year, without warning, the Inland Revenue enforced the time limit, reaping a ‘windfall’ of £17 million. Unilever successfully claimed a legitimate expectation to an exemption from the time limit. What is significant, from our perspective, is that the ingredients of a social rule are present in the case, too. There was a long pattern of conduct. That pattern was not a coincidence of habits. It grew on itself over time. Past interactions formed the basis of future interactions. There was a ‘scheme of close cooperation’ that the parties ‘faithfully followed’. Just as long practice forms a guide to future conduct in the constitutional context, the long interaction between Unilever and the Inland Revenue helped establish a standard against which the parties conduct could be measured. In this way there arose a norm, a ‘micro’ social rule, between the parties, one that required the Inland Revenue to accept Unilever’s late returns. Other cases (eg, R v British Coal Cpn, ex p Vardy and R v Brent LBC, ex p Gunning) can be thought of similarly. Thought of in these terms, the coherence of the doctrine of legitimate expectations lies in the fact that legitimate expectations always arise from the fact that an administrative decision-maker has bound itself with a non-legal rule, whether moral, self-prescribed, or social. Reflecting on other possible differences could shed light, not just on the nature of legitimate expectations, but also on the nature of conventions. For example, some commentators (including Joseph Jaconelli) think that conventions are, or are very similar to, social rules. That would make all conventions like the regular practices that generate legitimate expectations in cases such as Unilever. But what about the promises and policies that generate legitimate expectations? Do they not have counterparts in the constitutional context? The Sewel Convention may be an example of a ‘convention’ that arose from a promise, but it is a controversial case. Nor is it easy to think of clear examples of policies that amount to ‘conventions’. It would be surprising – but interesting – if the constitution included non-legal rules of only one mode of origin. That would be a difference with the administrative context, and one without an obvious explanation. In summary, administrative decision-makers bind themselves with non-legal rules as constitutional actors do. In so binding themselves, administrative decision-makers generate legitimate expectations. That fact helps establish the coherence of the doctrine of legitimate expectations, which has been in some doubt. More generally, it might be possible to gain some insight into the non-legal rules present in the constitutional and administrative contexts by considering them alongside each other. We develop these points in more detail in an article forthcoming in the Cambridge Law Journal. 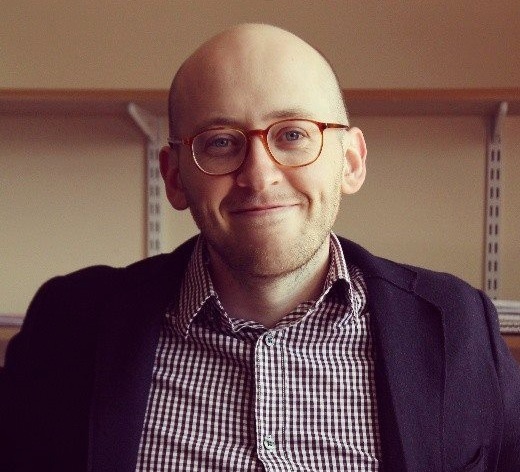 Adam Perry is a Lecturer in Law at the University of Aberdeen. 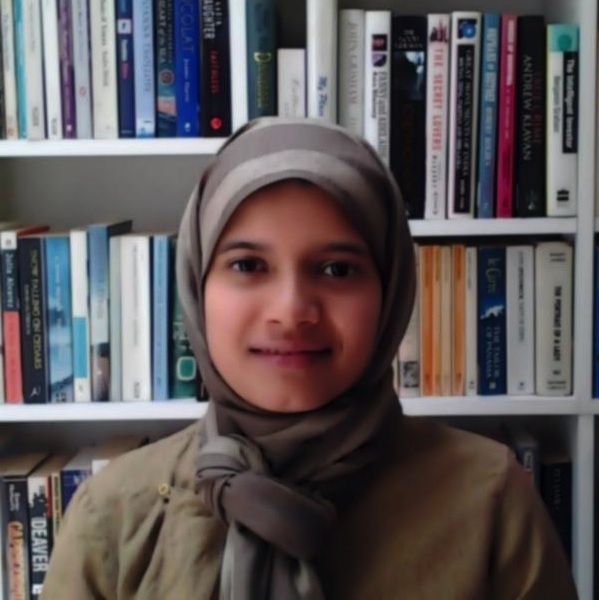 Farrah Ahmed is a Senior Lecturer in Law at the University of Melbourne. This is an interesting take on the doctrine of LE, that goes beyond the well-rehearsed arguments of reconciling the two related concerns of the Rule of Law, ie. administrative legality and legal certainty. Nevertheless, I think that there are two problems with the analysis: First, it neglects the role of the judiciary in this context entirely. You rightly acknowledge that conventions and actionable LEs, whilst sharing many similarities, are quite different in several respects: for example, conventions are not traditionally ‘legally binding’. If this is so, how come LE, based upon a similar rationale as conventions, all of a sudden become legally binding before the courts? This would collapse into the following argument: “Conventions and legitimate expectations are in essence the same (or rather: conventions would give rise to a legitimate expectation, BUT…). However, the former, unlike the latter, are not prima facie actionable because they generally raise non-justiciable issues”. Thus, for example, the Sewel Convention is not judicially enforceable because that would contravene the express terms of the 1998 Scotland Act. If the monarch appointed a member of the Lords as Prime Minister, that would not be justiciable because this falls under the Crown’s personal prerogatives. This may be a tenable view. It is however not compatible with our understanding of conventions as non-legal rules; nor does it really comport with the case law even post-Coughlan, which may at times seem rather casuistic. The second point is the provenance of LE as deriving from Continental legal systems that have little in common with the UK’s understanding of conventions (even though all constitutions will have some conventions of some sort). LE was an important from German law (Vertrauensschutz) and EU law, and to a lesser extent from French law (confiance légitime). This combined with the court’s desire to prevent abuses of power and articulate more broadly principles of fair administration (HTV, Preston, Coughlan, Nadarajah). Is this is so, then the analogy with conventions is interesting and comparatively informative, but inaccurate. That is not to say that there is not much common ground: for example, it should not be contentious that, as a general rule, a decision-maker should be bound by a social/moral/self-imposed rule as reflected in practices, promises and policies, respectively. But there is hardly anything novel in this. Furthermore, seeking coherence in the LE doctrine by reference to conventions seems, in the light of the foregoing, adventurous to say the least. Thanks for your comments. On your first point, we do not think our argument collapses into the position you outline. Both conventions and legitimate expectations are non-legal rules of a particular kind. It does not follow that they should both be treated the same way by courts. Indeed, there are other kinds of non-legal rules – eg, the customary norms of commercial actors – which courts treat differently than both conventions and the rules structuring legitimate expectations. On your second point, we agree that there are important differences between constitutional conventions and legitimate expectations. We just think that thinking about their similarities and differences sheds light on the nature of both. This entry was posted on October 18, 2013 by Constitutional Law Group in Judicial review and tagged constitutional conventions, Judicial Review, legitimate expectations.